About Linda & Malcolm Wixley. Malcolm and Linda live on site and offer you a warm welcome. The glorious and tranquil views and surrounding countryside. View more about Linda & Malcolm Wixley. 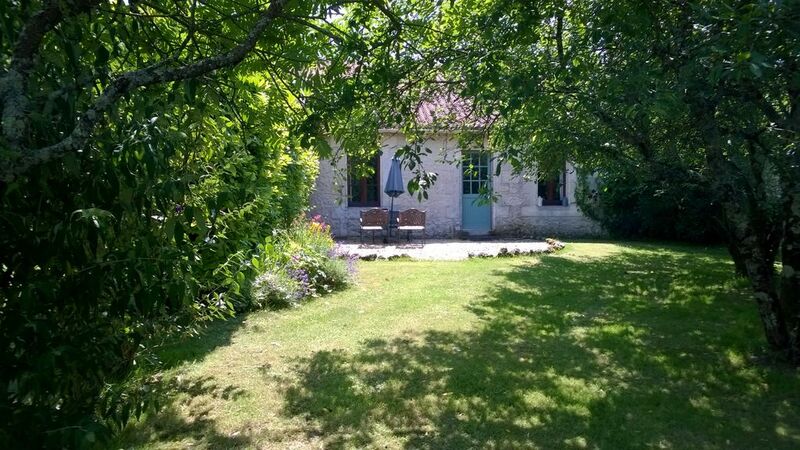 We have grounds of 2 acres, with exceptional views in all directions of the rolling hills of the Charente. Play games or relax in the tranquil surroundings. log burner for winter guests. Comfortable with TV and satellite. Fully equipped for the family. Board games in the cottage, plus many other games available. 2 acres for you to relax or play. On your private terrace or a communal one. All cottages have a private terrace. 9 hole course 15 minutes away. South facing, views over the valley. Many lovely villages to explore locally, particularly Aubeterre, voted one of the prettiest in France. Further afield is must see St Emillion or ancient Angouleme with hundreds of restaurants.